Whether you already own some mens fashion blazers in your closet or not, you definitely need to seriously check out this black quilt fabric fashion blazer by Zacchi. 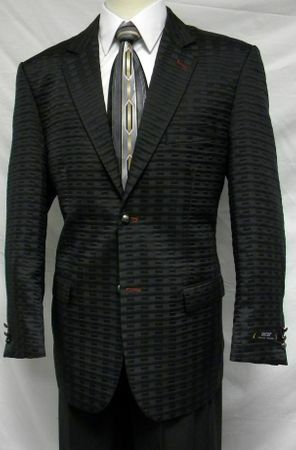 Zacchi is known for making high quality suits and this black quilt fabric fashion blazer is just as well made. Featuring floating chest piece and french faced hand stitched lining, you'll recognize the quality of this blazer the moment you slip it on. You won't want to take it off.